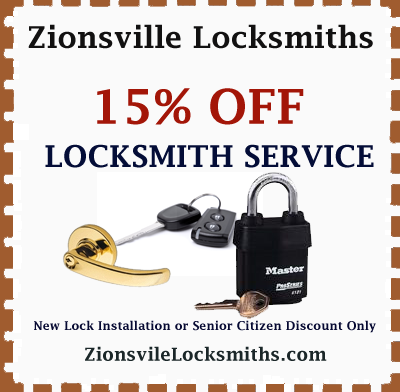 Welcome to Zionsville Locksmiths, the leading Locksmith company in Zionsville Indiana. We offers 24 hour emergency lockout services every day, even weekends, late evening and holiday, we never close...Guaranteed!! No matter what type of lock you are having a problem with, our Professional Locksmiths are just a phone call away. Call now and receive up to 15% off. Emergency Lockout Service - 24 hour lockout services for your home, rental property, automobile, commercial property or office building including new keys made, broken key removal, new car keys, lost keys, pop-a-lock services . 2010 © Zionsville Locksmiths. All Rights Reserved.